Since I started working in Disneyland and coming to the parks for fun on my days off, I've Disneybounded twice with different friends. 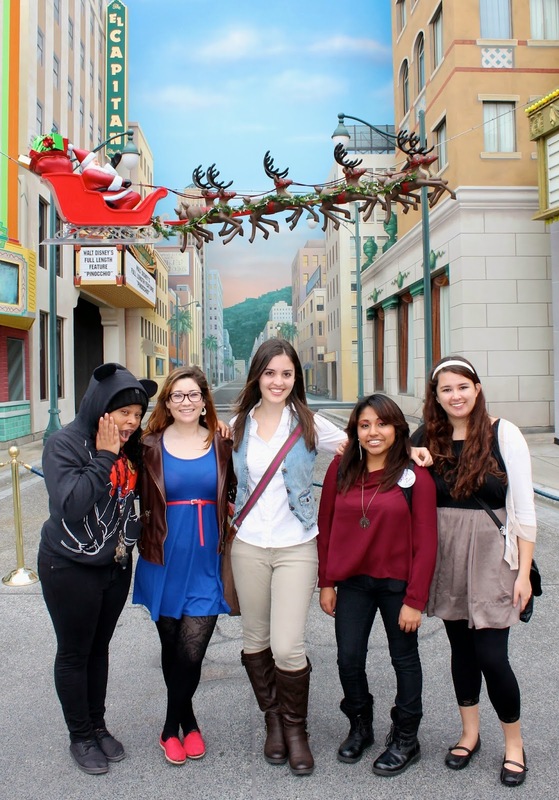 The first time I took my roommates into the parks for fun for my roommate Diana's birthday. Each of us had a Disneybound for a different character that we pulled together the night before. I was actually really impressed with what we were able to create! 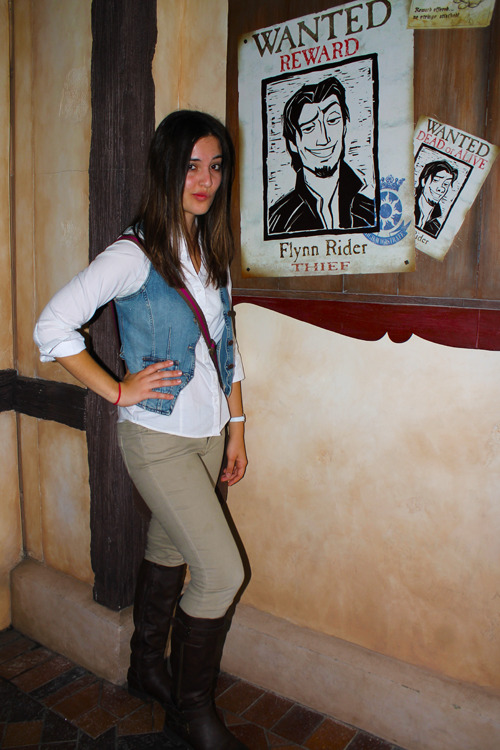 My second Disneybound attempt in Disneyland was when my lovely friend Raisa came to visit. She was Bounding as Anastasia Tremaine from Cinderella, and I was finally able to dress up as my favorite character: Megara from Hercules! The Tremaines recognized Raisa's Disneybound immediately. I may have mentioned this before, but if you ever have the chance to meet these crazy sisters, do it! They're so entertaining to interact with and meet. On this same day I actually was able to finally meet my wonderful friend Tera! She was visiting Disneyland for her first time with some of her friends, and they all decided to Disneybound as well! We had dinner at Ariel's Grotto, got to meet all the princesses, rode a few rides, visited Mad T, watched World of Color, and SPRINTED to Big Thunder with one of my coworkers to cast preview the attraction before it opened back up to the public! It was so much fun! (From left) Meg, Mary Poppins, Minnie Mouse, and Ariel! Disneybounding has definitely become one of my favorite things to do in the parks. It's so much fun dressing as some of your favorite Disney characters with clothes you just happen to find in your closet or casually come across at the mall. It's a super fun way to interact with characters if they recognize your outfit, as well as when other cast members notice you dressed as a certain character! I felt like this was an appropriate post to share on Disney's official "Rock Your Disney Side" 24 hour event today. If you're braving the parks, make sure you stop by Monsters Inc, Mike & Sulley to the Rescue tonight to see me! I have a full on graveyard shift until 5:30 in the morning....wish me luck, and have fun everyone! How did your shift go? The party looked like so much fun -- I wish I had gone! !